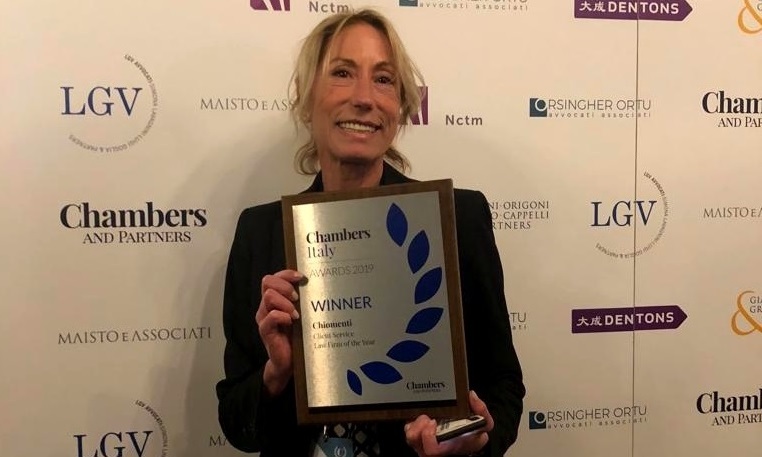 Chiomenti won the “Client Service Award” at the 1° edition of Chambers and Partners Italy Awards 2019. The awards are assigned to top rankings firms and professionals. The award ceremony took place in Milan on 28 March 2019 during Chambers Forum. According to Chambers: "Domestic powerhouse Chiomenti maintains a stellar reputation in the market with multiple band one positions across Chambers rankings. Clients report the firm to be adept at taking cross-practice instructions, underlining its impressive ability to “put together multidisciplinary teams” as a real strength of it structure. Other sources state that the lawyers are “available and really hands on” and “are quick and able to find solutions that are good for the business.” Most significantly, interviewees report that the firm culture “promotes an excellent, collaborative environment” when working on mandates".